Owner and Executive Chef of The Earl of March, Lavant, and The Partridge, Singleton. 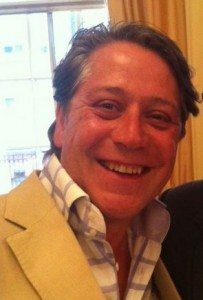 Giles Thompson is the former Executive Head Chef of the Ritz Hotel and has over 30 years experience in the food industry. He is very passionate about what he does and continually innovates in the kitchen to keep the high standards at The Earl and The Partridge. Which is your favourite ingredient to cook with? 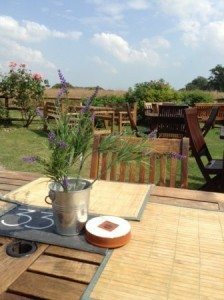 At both The Earl of March and The Partridge, we are passionate about cooking with top-quality, seasonal local produce. My favourite ingredient to cook with is whatever is in season at the time. 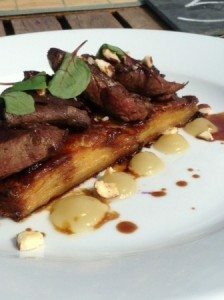 At the moment, during the autumn season, I’m really enjoying cooking with our local wood pigeon. I love creating exceptional dishes around what’s in season. The best ingredients are fresh ingredients and we are lucky to work with so many local food producers. 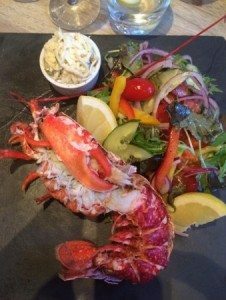 Our crab for example is hand caught in Selsey, and all our beef comes from Sussex. We use free range eggs from Hallgate Farm and even sell them in our restaurants to customers. We also enjoy our wine from the local Tinwood Estate. 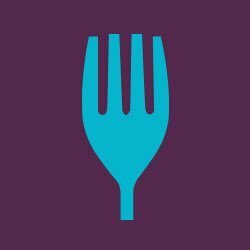 What was it that got you into cooking: cook books, TV, your parents? I have had a love of good food since I was young, growing up in West Yorkshire with my family. My Father, Sir Donald Thompson MP, formerly a parliamentary secretary in the Ministry of Agriculture, was a Halifax farmer and butcher, and my Mother was an excellent home cook. I used to ride shot-gun with the meat deliveries, and I remember visiting canteens run by larger-than-life, love-you-to-death matrons who’d feed you up on Bakewell tart. This was an environment that made me determined to become involved gastronomy in some way. I have my parents to thank for my passion for my work. Tropez. I then worked on luxury yachts for Sir David Brown on MY Flying Sun, Dragon Yachts and in the Caribbean on board Wonderlust. Whilst in the Caribbean, I consulted to The Moorings who had marinas and restaurants in both St Lucia and the BVI. I was incredibly fortunate to spend nine years training under the brilliant Michel Bourdin at the Connaught Hotel and became his right hand man. If you ever get the opportunity to work with such an incredible chef as Michel Bourdin I would highly recommend it. In 1995 I moved to Danesfield House, Buckinghamshire, as Executive Chef. I then joined the Ritz Hotel in London as Executive Chef in 1997 running the Ritz Restaurant, Palm Court, the private dining rooms and room service, before becoming Head of School and Le Cordon Bleu Culinary Academy in Marylebone. Buckinghamshire I achieved two AA rosettes and an RAC restaurant award almost immediately for classical cuisine with a contemporary twist. During my time at The Ritz Hotel, I combined traditional and modern styles to present dishes that fulfilled the customer’s highest expectations and my work was recognised by the accreditation of the Royal Warrant from The Prince of Wales, St James Palace and The Soil Association for my commitment to organic food; of which both achievements were a first in the restaurant world.